The Armstrong Law Firm is a full-service law firm representing individuals, families, and businesses throughout lower Alabama and Mississippi. We are a small firm with competitive rates, but offer the same aggressive representation as the bigger law firms in the area. Because we are a smaller law firm, we are able to offer highly personalized representation that our clients have come to appreciate. Do you need a divorce or child custody lawyer? 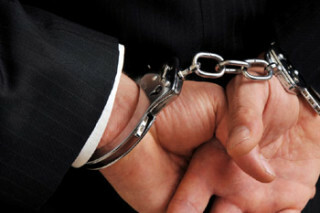 Have you been arrested for DUI or other criminal offense? 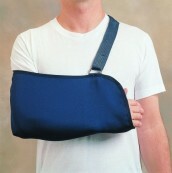 Have you been injured in a serious accident? It is essential to contact a lawyer immediately. Please contact Armstrong Law Firm, Inc. to arrange an initial consultation. At Armstrong Law Firm, we understand that when you walk through our doors, you bring with you the most important issue going on in your life, and we will treat your issue with that same level of importance and respect. Contact us to make an appointment toady. When you contact an attorney in the very first stages of your legal action, it is still possible to take advantage of all opportunities to improve your legal position. In criminal matters, we will immediately begin our investigation for facts which may be vital to your defense, then negotiate for reduced charges, gain access to evidence that will be used against you, and fight to protect your rights. If you have been injured, we will advise you on how to avoid serious mistakes in responding to insurance companies and get the compensation you need and deserve. In family law matters, our attorneys will take the time needed to understand your situation, and protect your family and your finances. In all legal matters, we work hard to get our clients the best possible results. From the moment you become injured, are served with divorce papers, or get arrested, you will begin making decisions that will affect the final outcome of your case. We conduct a thorough investigation of the facts and evidence surrounding the case, and draw on our experience and training to devise a strategy for your representation, and aggressively represent you in civil, criminal, or appeals court. Are you trying to pick up the pieces of a broken family? 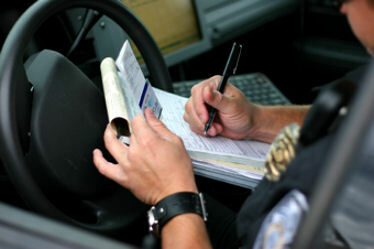 Does a DUI or other Criminal Charge have your life in a Panic? Call Armstrong Law Firm, Inc....we can help. Summerdale, Loxley, Bay Minette and all Baldwin and Mobile Counties. Attorney serving Fairhope, Daphne, Spanish Fort, Foley, Gulf Shores, Orange Beach, Robertsdale, Summerdale, Loxley, Bay Minette and all Baldwin and Mobile Counties. Also practice in Mississippi. No Representatoin is made that the quality of the legal services to be performed is greater that the quality of legal services performed by otehr lawyers. Content copyright 2013-2014. ARMSTRONGLAWFIRMINC.COM. All rights reserved. Web Design by Gladius Marketing Inc.